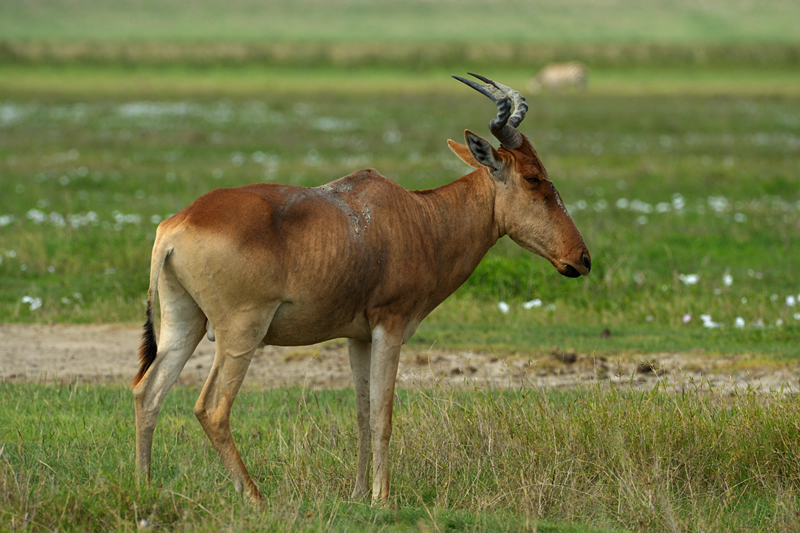 In this post on ‘Antelopes of Africa’, we wanted to feature some of the Antelopes that we came across during our safaris across the endless plains of Serengeti national park and the Ngorongoro crater. These Antelopes did give us excellent photo opportunities, posing for pictures where we could portray their uniqueness. The first image of the Impalas was captured when we stopped by a herd. On seeing us, they immediately turned their backs and walked away giving us this photo opportunity. 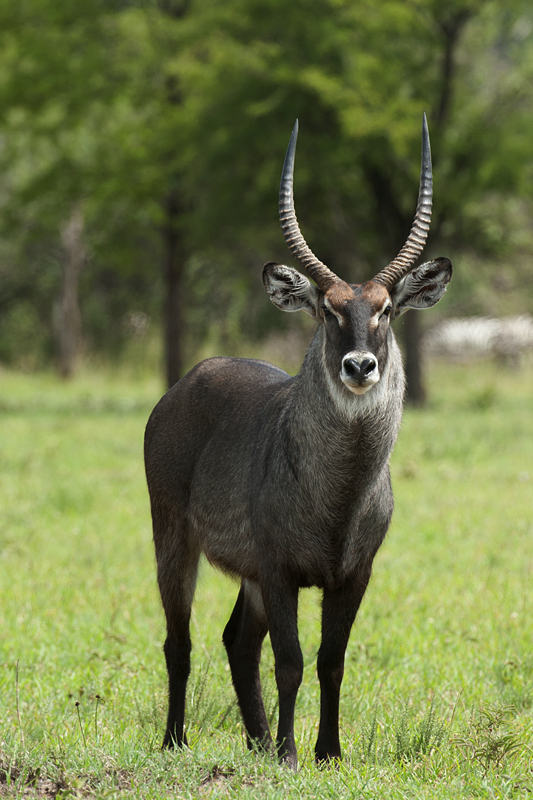 The following image of the massive Waterbuck was taken in western Serengeti when it just stood there posing for us. 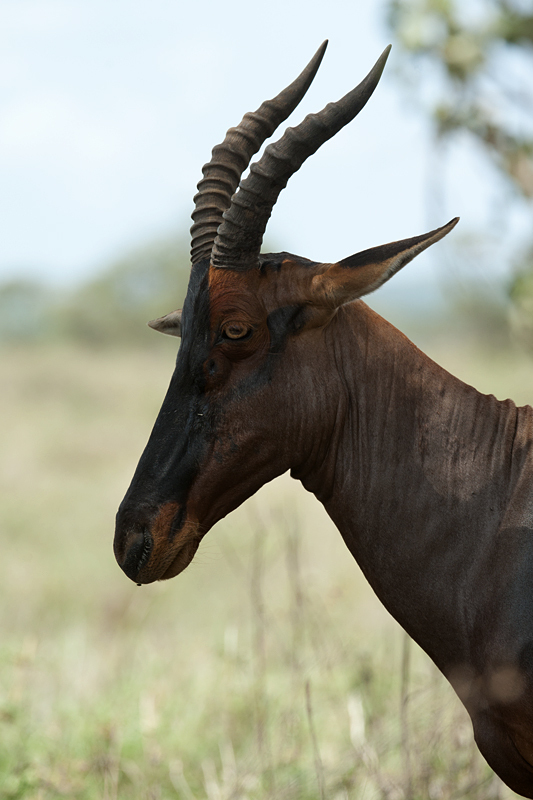 This Hartebeest walked pretty close to our parked vehicle in Ngorongoro crater giving us an opportunity to photograph him up close. 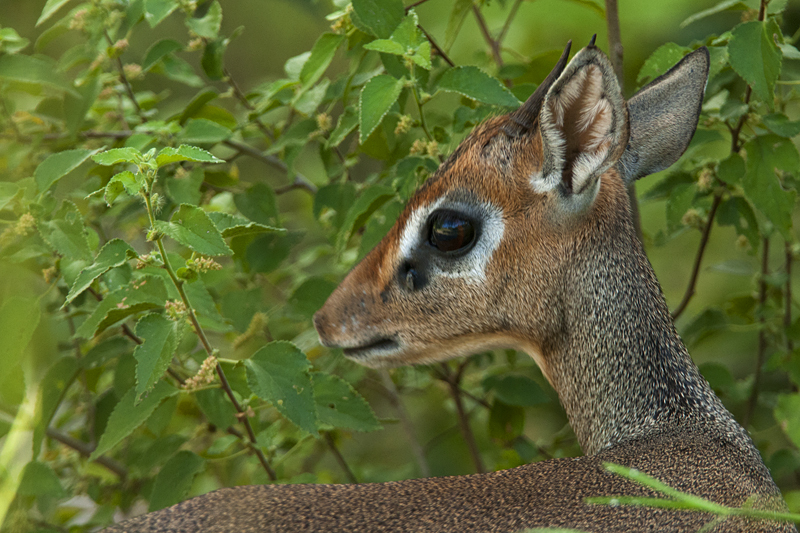 And this Kirk’s Dik Dik was resting under the shade of a shrub next to the road when we spotted him. Given that he was very close, we managed this closeup composition. 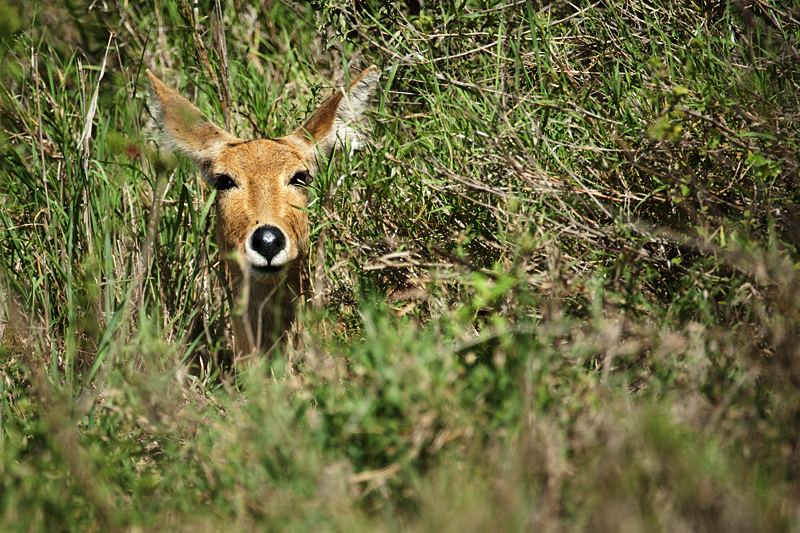 When we spotted this Reedbuck, it immediately walked into the short grass and settled down. We were left wondering as to how it perfectly camouflaged itself right in front of our eyes. And finally this Topi was standing under the shade of a tree next to the dirt track giving us the opportunity for this closeup perspective. The water-buck image is really impressive. they’re all so diverse and interesting, nice catch.